Bacolod is home to the renowned MASSKARA festival, which is celebrated every October. But the city is also known for great food. What’s the best in the city? Cakes and Chicken Inato / Inasal. And if you want to grab some sweet delicacies, don’t forget to buy some piaya, biscocho, napoleones and butterscotch for pasalubong. I love cakes, especially if it’s chocolate moist cake. 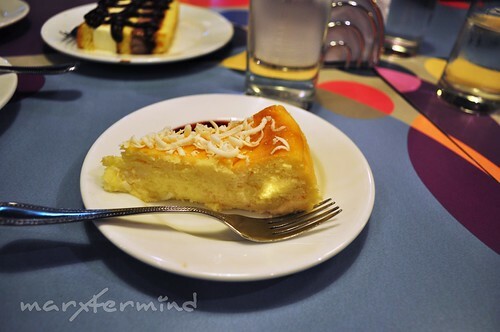 I’ve read a lot of good reviews about Calea Cake House and Cafe Felicia so I included them on my itinerary during my last visit in Bacolod, but unfortunately due to time constraints I was able to try Calea Cake House only. 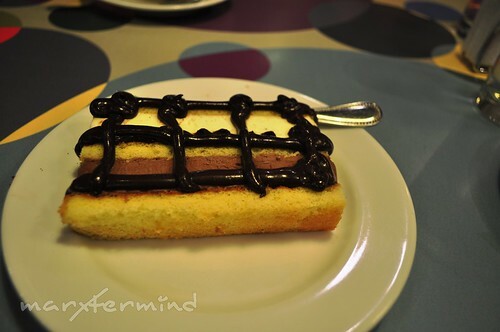 Calea Cake House is a famous Bacolod pastry shop lauded for its affordable selection of luxurious and moist cakes. So after going to The Ruins of Talisay and walked along Lacson Street, we headed to Calea Cake House. The pastry shop main branch is located besides L’Fisher Hotel at Lacson Street. We arrived at the pastry shop around 9:00 PM, and there were still bunch of people eating and having a good time. We headed straight to the cashier area and checked out the cakes at the fridge. As far as I remember it, it was a 4 fridge with sort of cakes. Wow! It was a bunch of choices. Their best seller is the imported moist chocolate cake. I wanted to have the best seller but my friend wanted it too. So I let it go and ordered next to best seller, the White Chocolate Cheesecake. 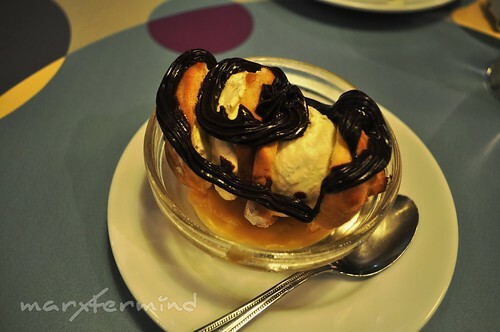 While my two other friends ordered Chocolate Cream Puff and bread/cake with whipped chocolate on top (I forgot the name). 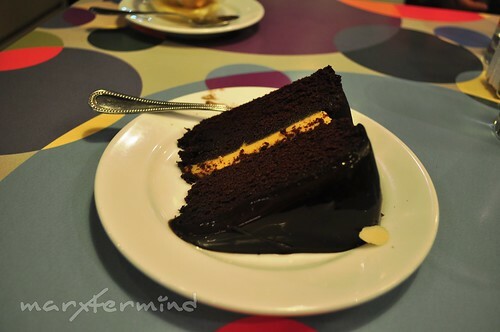 Since we were overwhelmed with those sumptuous cakes, we ordered two more slices. We ordered vanilla mud pie and chocolate mud pie. After awhile, our cakes were finally served in our table. And here’s my White Chocolate Cheesecake. Anyways for us to taste every cake that we had, We shared and tikim tikim na lang. 😉 Since I initially wanted their best seller, I’ve grabbed a spoonful of Imported Chocolate Moist Cake from my friend’s plate. For me, it’s usual but it was good or is it just me who already fell in love with my white chocolate cheese cake. But to be fair, the imported chocolate moist cake is worth it. Next cake that I tried is the Chocolate Cream Puff. It is like a pastry / bread with a vanilla cream filling topped with chocolate whipped cream. Moving on, it’s the Chocolate Mud Pie and Vanilla Mud Pie. The only thing that differentiates the two is their flavor. Chocolate and vanilla. 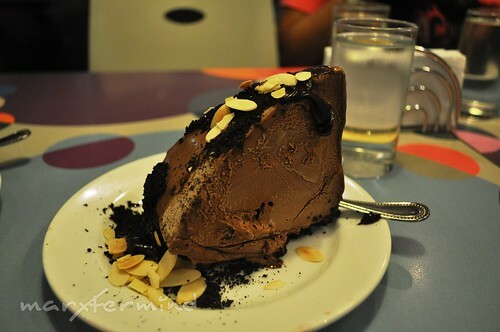 Since I’m a chocolate lover, the Chocolate Mud pie won my taste bud. The pie (at the bottom of the cake) is outstanding, it was like a moist brownie. And the ice cream tasted like a premiere chocolate ice cream. And last but not the least is the unknown cake (sorry if I forgot the name – but if you know what it was, please do make some comment). This cake is to get off from all sweets (including the cheesecake though it tasted like cream cheese) that I’ve tasted. Though it has a chocolate cream on top which is actually sweet, the cake has something that normalizes my gustatory system. Overall, this one is a must try too. But above all, the White Chocolate Cheesecake is superb. I became an instant huge fan! By the way, did I already mention that these cakes were only cost PHP 80.00 to PHP 100.00, but most cakes are PHP 80.00 only! We are filled and glutted with cakes, cakes and cakes! It was an amazing cake adventure at Calea Cake House. By the way, Tata told me that the pastry shop is being closed for customer once, sometime in December because Gretchen Barretto orders a lot of cakes for Christmas season! My initial plan is to try the chicken from Manokan Country. We were able to pass by the place when we arrived from Bacolod and headed to SM. A walking distance across SM City Bacolod. But since Tata’s family prepared a dinner for us, we were not able to check this one. As soon as we arrived Bacolod after our adventure at Mambukal Mountain Resort, my friends hurriedly went to the airport to catch their flight, as I dropped myself off at the Bacolod Chicken House along Lacson Street. Since my friends didn’t have time anymore to try this one, they asked a favor from me if I can buy them and their just going to wait for me at NAIA terminal 3. So I did. It was 5:00 PM and I haven’t eaten my lunch yet (though I have snacks on our bus trip). So kailangan madamihang kain toh! As soon as I had my seat, I asked for the menu and took my order. And here’s my order. And the taste? Ang sarap, or am I just very hungry. But seriously, the chicken is something different from other chicken that I’ve tasted. It seems it was fried first before it was grilled, sort of like that. The menu consist of a chicken body parts; paa (thigh), pecho (breast), pakpak (wing), atay (liver), and baticolon along with an option for plain or garlic rice to name the few. Calea Cake House and Bacolod’s Chicken House seems to be an instant favorite of mine. It was not just food but something to fit my appetite for life. And if I will be asked if I’ll come back? Yes, I ate and I’ll EAT some more. 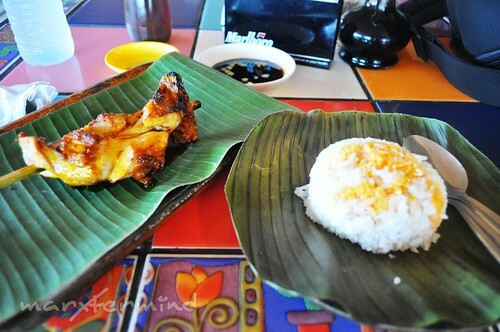 There's still many food places to try in Bacolod – and I hope I could go back sooner. the bacolod delicacies was something to look out for. I would to have a stop over there while looking for possible houses at Suntrust houses. Thanks and good luck to your future endeavors. I had also similar experiences with you on dinning in those two restaurants. 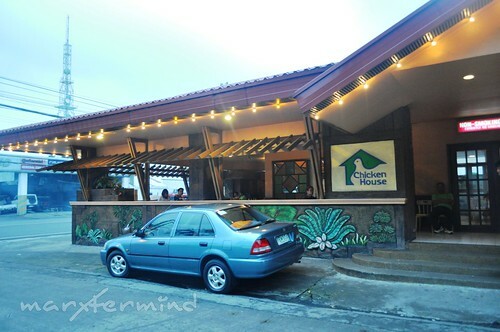 Bacolod Chicken House has few branches in the city but I most often dine with my girlfriend at Lacson Branch. They have the most attentive staffs. 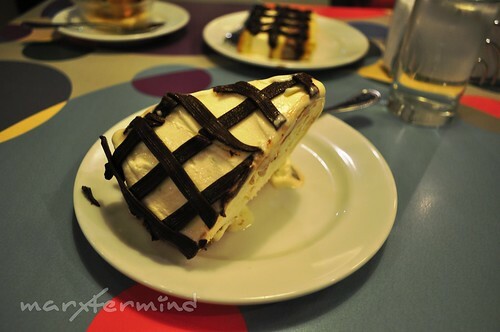 I also love Calea's Banana Parfait and Clubhouse sandwich. I have sweet tooth and I find the Parfait to make my day perfect. the name of the last cake you mentioned is semifreddo i think? i'm not sure of the spelling, but I love the taste of it. Calea's cakes are the best! Mura pa! @poot, hi! sayang ang sarap pa naman, itry mo! and the chicken, yah i forgot to mention it's small pero sakto na din. And for Mang Inasal, mejo di na ako tempted sa chicken nila. Masyado ng commercialize. Their chicken is much better the firt time I tasted it way back 2 years ago! Hehehe… Walang Calea dito sa Manila, sa Bacolod lang. Ayaw nilang icommercialize kasi baka mawala ung quality and hindi na sya maging puntahan sa Bacolod. @Chyng, nako mabubundat ka sa daming food hunt dun! Ang daming must try! Sayang 2 lang na try ko, kulang kasi sa time. Hey Kuya. The cakes look very masarap. But I'm not really fond of sweets except for my all-time favorite Snickers. Loooooool. Pero like what you said, it's worth it, so I think I must try this in the future. I think the chicken is so small. What you think? Anong kaibahan niya sa Mang Inasal? I think both originated in Bacolod. Anyway, wala bang branch ng Calea sa Manila?